we are hearing from Diane Zumatto now who will speak on Empowerment and Toxic Wounds. She is doing a roll call of who served in what Era. We have two WW2 Vets, 3three Korean War vets and a scattering of Vietnam Vets. A large number who served in Iraq and Afghanistan and during the cold war. 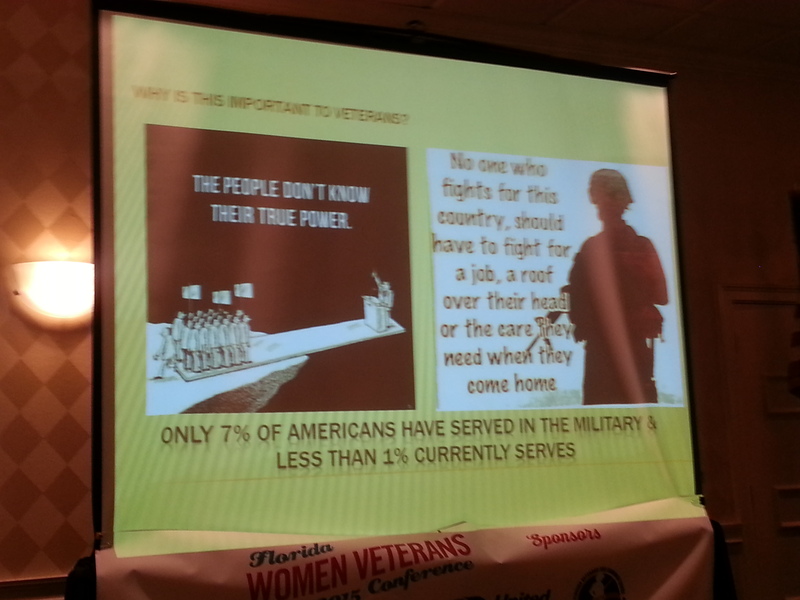 She’s telling us that in the 70’s 75% of congress were veterans and today it is 19%. She is urging veterans to run for office. She works for Amvet as a legislative liason. Check out one of her slides above. Her report from Congress is not good. 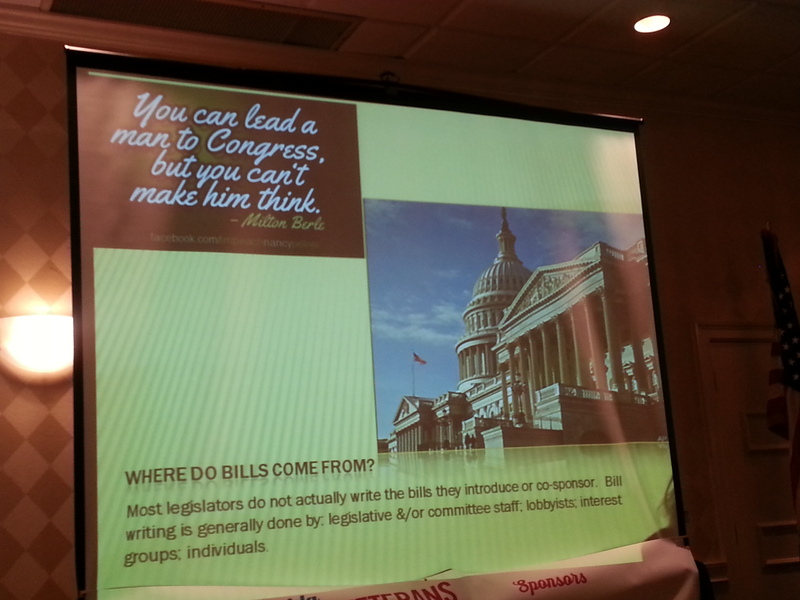 We are getting a lesson on how to influence bills in congress.